​It stinks to have stale air in a home, but that does not have to be so. 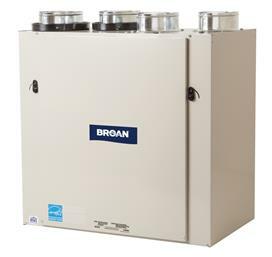 By installing a Broan Air Exchanger, your home can have continuous fresh air brought into the house while the stagnant air gets exhausted out of the house. This unit transfers the heat and humidity from the air being exhausted to the fresh air being brought into the home or business through an advanced filter setup. It is much more efficient than opening a window because it filters out outside pollutants and is piped directly into the central air system so you never have to worry about the cold drafts in the winter time and the humidity in the summertime. An Air Exchanger is ideal for controlling humidity to prevent a home from getting too much moisture in the winter time and too dry in the summer. If you enjoy the fresh air of the great outdoors, this is one way of bringing that experience home with you.